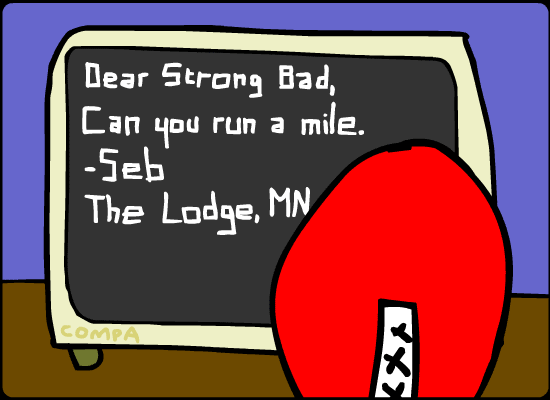 Strong Bad Email : "mile"
The disks say "One on One"
It may look like SB is cartwheeling up onto the fence (paradoxically far away), but he is supposed to be "jumping" the busses. The Cheat must have got this High velocity cartwheel idea when his brain got rattled too much during Awexome Cross . Or when he was in the drier .